Many companies have the willingness to bring into their network of systems an Enterprise Content Management Solution, but then they fail to maintain the system properly once implemented. It is not a secret that justifying the investment in Enterprise Content Management is difficult, because many times it works as a support of front-end and core solutions, rather than showing direct benefits. This is one of the reasons why some companies do not give importance to proper support and maintenance of ECM solutions. This results in ECM becoming an IT cost headache rather than a strategic partner for proper management of corporate information, which is your organization’s most important asset. Many times, instead of creating a proper structure or organizing the information for easy to search and use, this type of solution creates confusion and mess, forcing the users to go back to less robust file systems. Many companies decide to adopt an ECM solution, but they forget that ECM is an information management solution. Information needs to be organized properly to facilitate its location and usage. 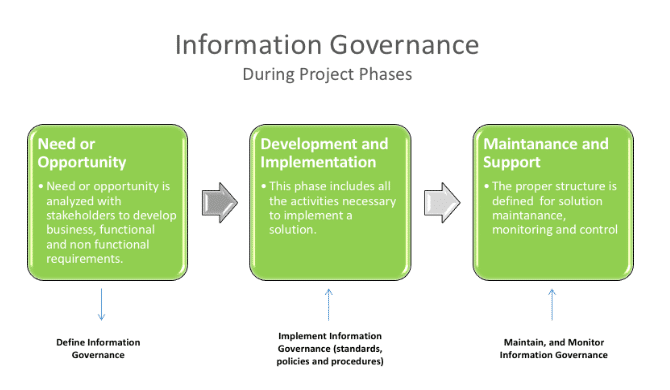 So the first important thing to maintain the ECM solution is to establish and define an information governance framework, where you define all the necessary standards, policies, and procedures about how information is going to captured, processed, used, stored, retained and disposed. Make ECM part of the corporate information governance strategy. It is very important to define this framework before the implementation of an ECM solution, during your “Solution Conception Phase”, and not once the mess is created, because the cost of fixing will be higher and tedious. Today´s trend is for more work to be conducted out of the office than in the office – but with users still demanding unrestricted access to data. This trend greatly stresses the resources of the IT department. Mobile workers would like to create, add, and collaborate on contents on the go and would like to have all social capabilities. IT has to provide this capability within and outside the firewall in a secure and collaborative way, such as transforming shared network structures into social and collaborative content management systems. So implementing collaboration, information management systems, and workflow solutions will increase employees’ efficiency, making the company better able to respond quickly to changes in the market and customer demands. Bringing together all the information can be a good idea, but it does not do anything when information is stored in individual process silos. 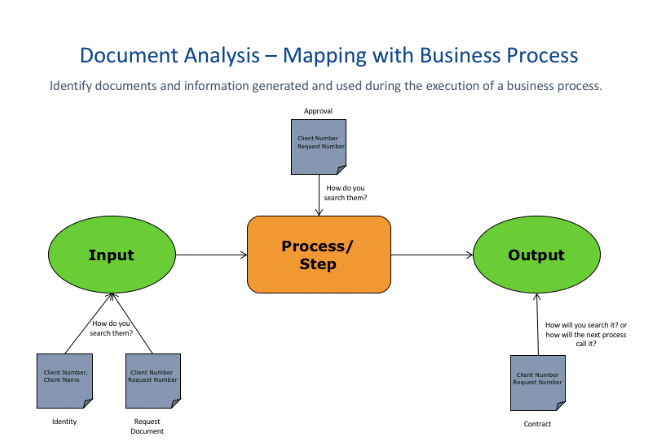 Information is part of business processes - it is generated as a result of the execution of processes - so it is crucial to link and embed it into the processes to which it pertains. Input: identify all the information or documents you will need as an input for your business process. Process/Step: identify how you manipulate that information during the execution of the process or step in a process. Output: what information is produced as an output and who is the intended audience? It can be a system, person, or another process. Doing this simple exercise will help you to understand the value of the information you manage, and consequently take care of it. 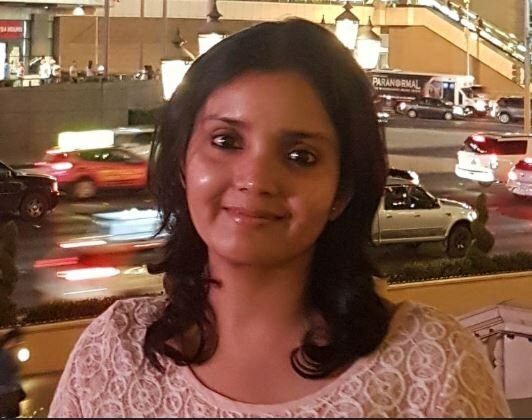 About the Author: Hemaben Patel, CIP, is the Digital Content Management Assistant Manager for Banco General in Panama. She works with business users to help them manage their digital transformation efforts through strategy, process, and technology implementation.